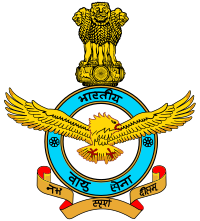 Indian Air Force Jobs Recruiment Notification 2019.Indian Air Force inviting applications for the positions of Cook, House Keeping Staff.Interested and Eligible candidates can apply for the positions. Last Date for Submission of Application is on May 01st, 2019. 1. Matriculation or equivalent pass with 06 months experience in bid trade. 1. Matriculation pass or equivalent qualification. 2. Application duly typed with recent photograph (passport size ) attested by self. 3. Self addressed envelope with stamp of Rs.5/- pasted. 4. Experience certificate for the post of cook fron the employer. 5. Any other documents as required. 1. Last date of receipt of application is 30 days from the date of publication of this advertisement.